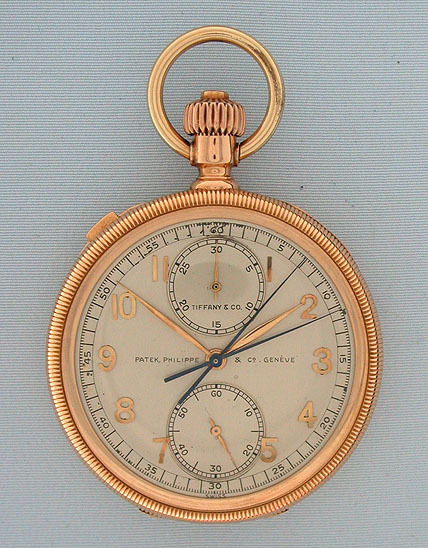 Fine and scarce Patek Philippe split second chronograph movement with elapsed time indication circa 1908 recased in an 18K red gold Tiffany & Co. case. 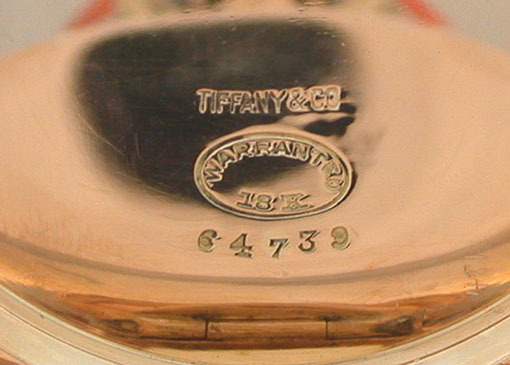 Silver dial (camera reflection) with applied gold numerals and black markings. This watch has two stop watch hands to time two separate events. 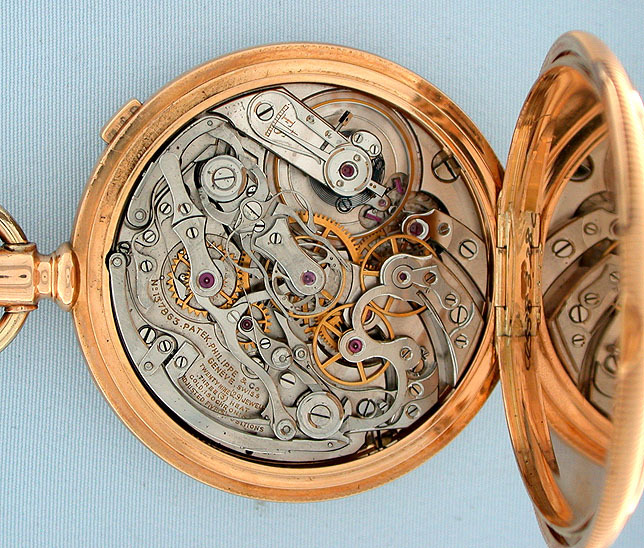 Beautiful nickel 29 jewel 8 adjustment movement. 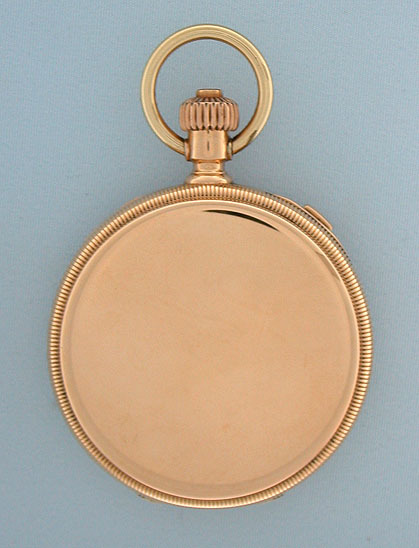 Plain polish case with coin milled bezels. We usually do not offer recased watches, but this is such a wonderful movement and such a good job of recasing that we made an exception.